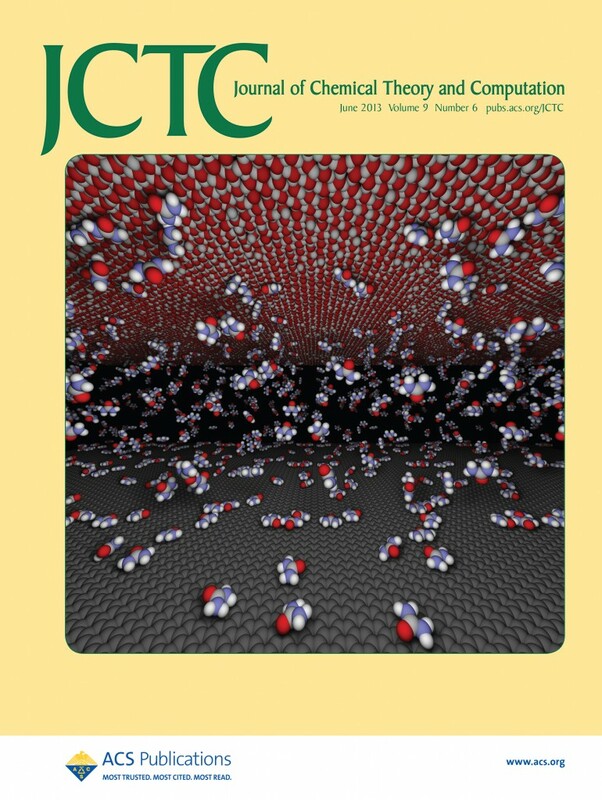 On the Cover: We have designed different nano-slit systems whose opposing surfaces consist of hydrophobic and hydrophilic surfaces for molecular dynamics simulation of confined water with three common protein denaturants, i.e., urea, guanidinium chloride, and methanol. Particular attention is paid to the relative preferential adsorption of the denaturant molecules onto the opposing surfaces to investigate the denaturation mechanism. The figure shows a snapshot of urea solution in the simulation cell and the periodic image cells. For clarity, water molecules are omitted. Takahiro Koishi, Kenji Yasuoka, Soohaeng Yoo Willow, Shigenori Fujikawa, and Xiao Cheng Zeng. 2013. Molecular insight into different denaturing efficiency of urea, guanidinium, and methanol: A comparative simulation study. Journal of Chemical Theory and Computation 9(6), pp. 2540-2551. Xiao Cheng Zeng is Ameritas University Professor in the Department of Chemistry and professor in the Nebraska Center for Materials and Nanoscience.